A thorough understanding of how the petroleum system works is a key factor for exploration success. 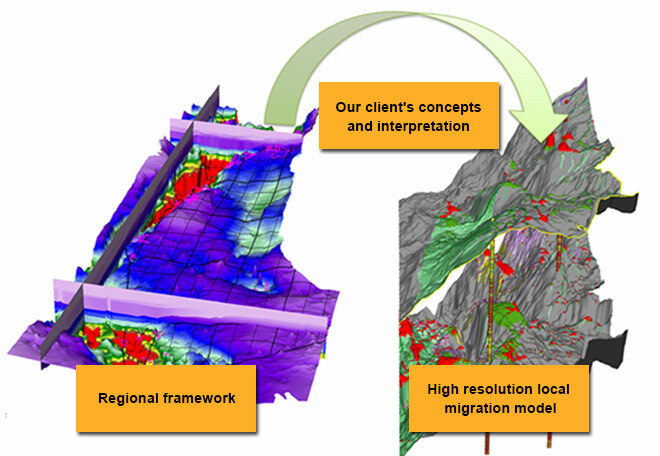 We perform petroleum systems analysis and migration modelling consultancy work, integrating the clients own data with our own modelling framework. We have experience from most areas on the Norwegian Shelf, ranging from the mature North Sea provinces to Barents Sea frontier acreage.